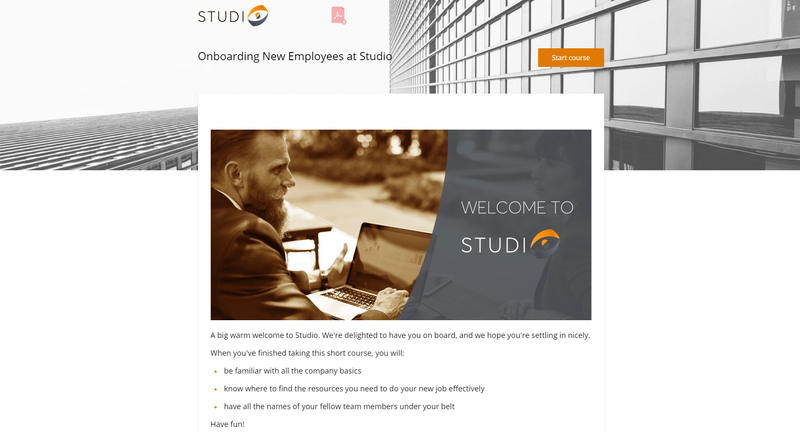 The Simple course template allows you to create a course with one or several sections containing both content items and questions. This template can be used for sharing knowledge/providing training. A course can contain content items and questions. 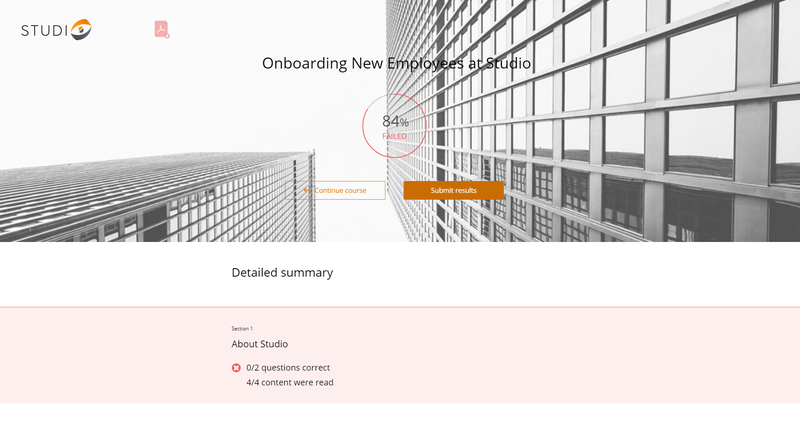 Each question is shown on a new page. Learners can retry any question as many times as they want. Learners get immediate feedback for correct/incorrect answers. After successfully finishing the course, learners can download a certificate. 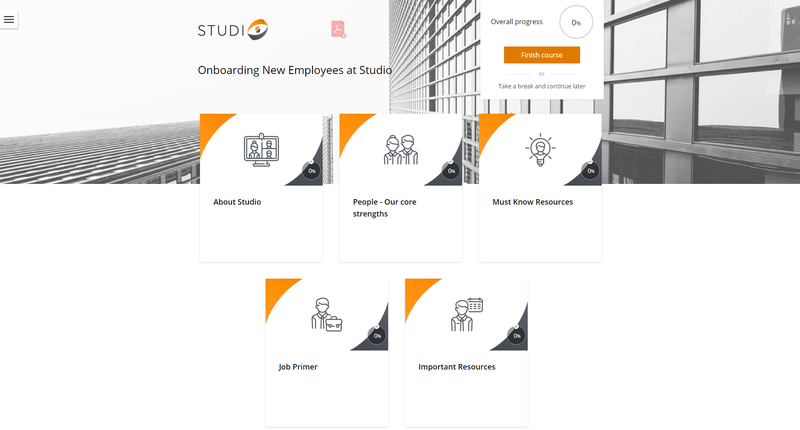 When a learner launches the course for the first time, the introduction is shown, if any. From the introduction page a learner can start the course. Then goes the list of available sections. Learners will have to open the section to see the related content and questions. At the top right corner there's the progress bar. Learners can navigate through the course using the Next/Previous buttons or the table of contents. You can turn on the table of contents and adjust the sections layout under Design > Layout. 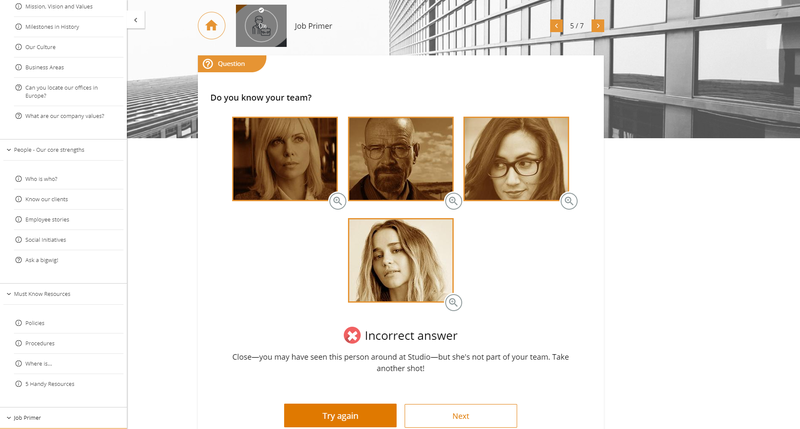 Each question is shown on a separate page. When learners answer a question, they will get immediate feedback. The last submitted answer will be saved. If the question is answered incorrectly, a learner can try again. The number of attempts is unlimited. After clicking Finish the course button, learners will see the overview page with their general score and the list of questions they answered correctly/ incorrectly. Learners can go back to the course to improve their score or submit results. Additionally, Team plan users can generate a certificate of completion at the end of the Simple course. The Simple course template provides the possibility to customize the look and feel of your course. Under Design tab you can edit themes, branding (logo), layout and fonts. 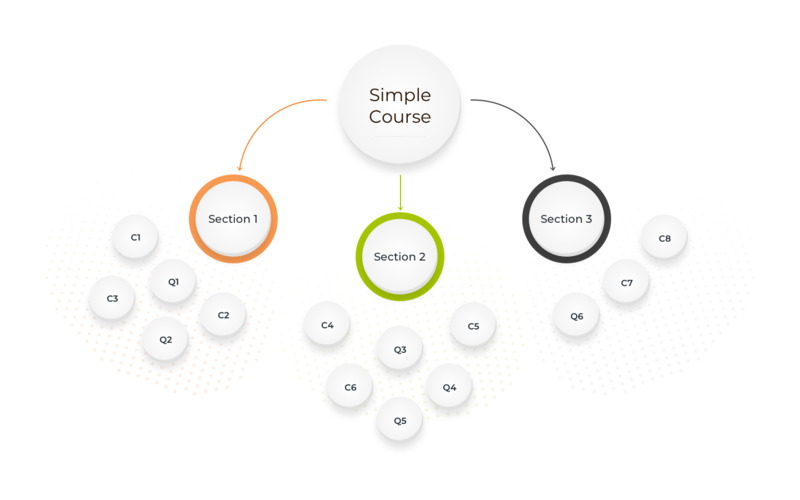 The Simple course template configurations are explained here. Results tracking settings are outlined here. Click here to have a look at the demo course where the simple course template is used.